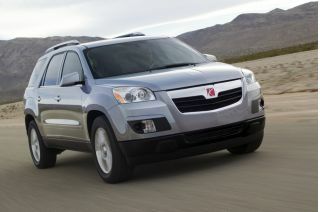 The 2009 Honda Pilot could be in short supply for months to come, as new Hondas are popular even in slow selling months. 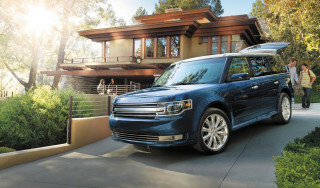 You could do very well to buy last year’s model, which TheCarConnection.com believes has superior styling, good fuel economy and handling, and a proven history of reliability and crash-test performance. The 2009 Honda Pilot looks more SUV-like in its second edition, but it has the room of a minivan, along with some notable styling miscues and expensive choices to make from the options list. 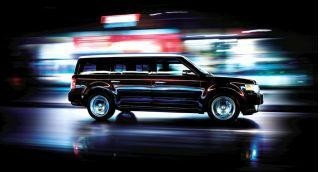 Car experts at TheCarConnection.com read reviews from reputable Web sites to compile this conclusive review of the new 2009 Honda Pilot. 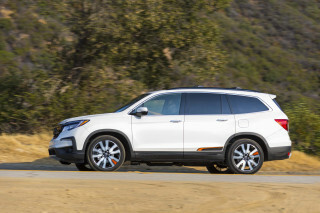 TheCarConnection.com's editors also drove the new Honda Pilot to assess which reviews are accurate and dependable, to add detail to them where needed, and to explain the differences in reviews so that you can decide if the new 2009 Honda Pilot is the right vehicle for you. The 2009 Honda Pilot strikes out in a new direction in terms of styling. 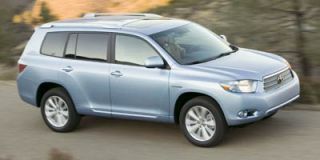 While it’s still a big crossover with three rows of seating, the Pilot has abandoned the delicate, feminine shape it once had in favor of big, squared-off corners and an ungainly grille that strikes fear in the hearts of tastemakers across the Web. Inside it’s still functional, but there are dozens of dash buttons to confuse first-time drivers. The engine in the 2009 Honda Pilot is a 250-horsepower, 3.5-liter V-6. Teamed with a smooth-shifting five-speed automatic, the Pilot is no lightning chariot, but it’s reasonably powerful, and the combination is sweet to hear and feel. The engine also can disable some cylinders to increase fuel economy, though the Pilot is still middle of the pack when it comes to gas mileage. Handling is good, though with noticeable torque steer and the occasional harsh jounce from its suspension. All-wheel drive is an option, and it works best in foul weather, not off-road. Inside its boxy bod, the 2009 Honda Pilot has better room for adults in all three rows. Front seats are comfortable; the second-row seats slide to and fro for more legroom, and fold out of the way for access to the third-row seat. The “way-back” seat now has enough room for two adults, some sources say—though TheCarConnection.com’s editors found head- and legroom at a premium. The Pilot’s interior gets new plastics and fabrics that seem to take a distinct step backward from the previous version, but storage is a high point, and the Pilot bristles with cubbies, bins, and places to hide things as large as a purse or a laptop. The 2009 Honda Pilot hasn’t been crash tested yet, but it includes all the latest safety features as standard equipment. Visibility is an issue, what with the thicker shape and wider roof pillars. The features offered on the 2009 Honda Pilot are as advanced as those in minivans: DVD entertainment systems, navigation systems, Bluetooth, and iPod integration. However, Honda bundles many features into the most expensive models, leaving budget-minded shoppers at a loss for certain items. 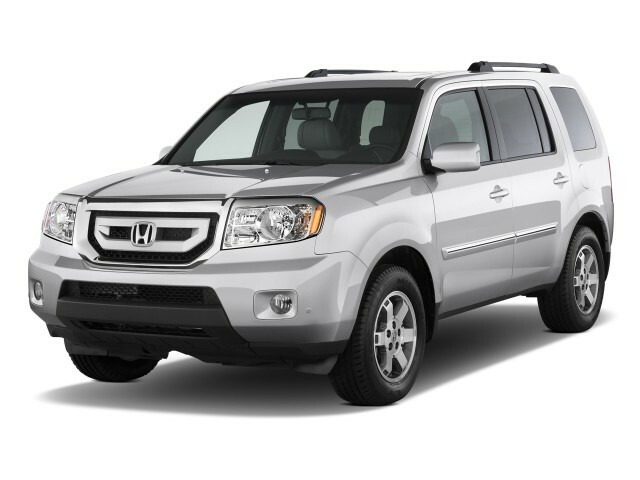 The 2009 Honda Pilot takes a new direction in styling, with a cumbersome grille and a dash with too many buttons. The 2009 Honda Pilot has a thicker body with a much more prominent--and controversial, according to reviews from across the Web--grille. With the 2009 Pilot, Honda has improved handling and boosted power, though its ride can be a little choppy. The 2009 Honda Pilot handles well and has good power, but a little torque steer was noted by reviewers from sources around the Internet. The 2009 Honda Pilot has more room and an adult-sized third row, but some interior trim is of lesser quality. When it comes to interior space, professional car reviewers found a usable third-row seat and good adult-sized room in the 2009 Honda Pilot. Interior quality, though, has slipped a bit. “Honda has also managed to carve out an adult-size space” in the third row, Edmunds says, “by raising the hip point of the seat itself, so there are 1.9 inches more legroom and a far more comfortable seating position.” The Detroit News also finds enough space in the way-back seat: “As a full-size adult, I could climb back into the third row with little hassle and fit comfortably there.” Motor Trend agrees; “Still best for a trio of younger folk, the innermost sanctum now truly is capable of carrying two average adults in reasonable comfort,” they write. Cars.com feels it’s “still on the small side for adults.” The third-row seat folds completely into the floor of the Pilot, sources add. There’s plenty of standard safety gear on the 2009 Honda Pilot, but it has not been crash tested. The 2009 Honda Pilot is fitted with a long list of standard safety equipment. To date, the Pilot has not been tested by the National Highway Traffic Safety Administration (NHTSA) or the Insurance Institute for Highway Safety (IIHS). The 2009 Honda Pilot has an extensive list of features, but many are only offered on the most expensive model. Features galore are standard on the 2009 Honda Pilot; options include some of the latest high-tech equipment, but many are available only on the most expensive models. 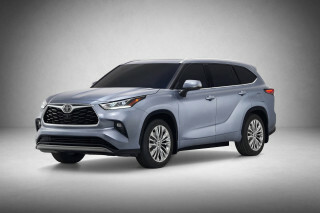 However, many sources note that Bluetooth, a power tailgate, and navigation systems are only available on the most expensive EX-L and Touring models. Cars.com lays out the case against Honda’s packaging of options: “Rather than being optional equipment that you can add to any trim level, many popular features are limited to more expensive trims.” Features like a power moonroof and a DVD entertainment system are “only available on the top two trims, EX-L and Touring.” The Touring model is also the only Pilot that gets a USB port that teams up with Apple’s iPod to integrate your music library with the crossover’s sound system.